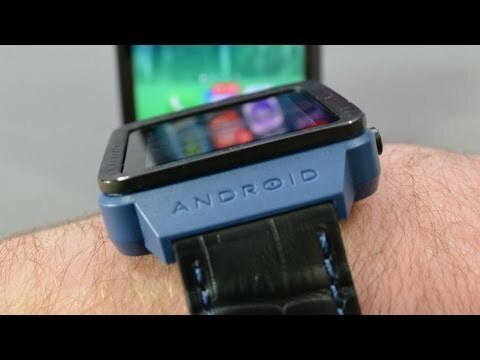 Smart wristbands are not exactly a novelty on the market. 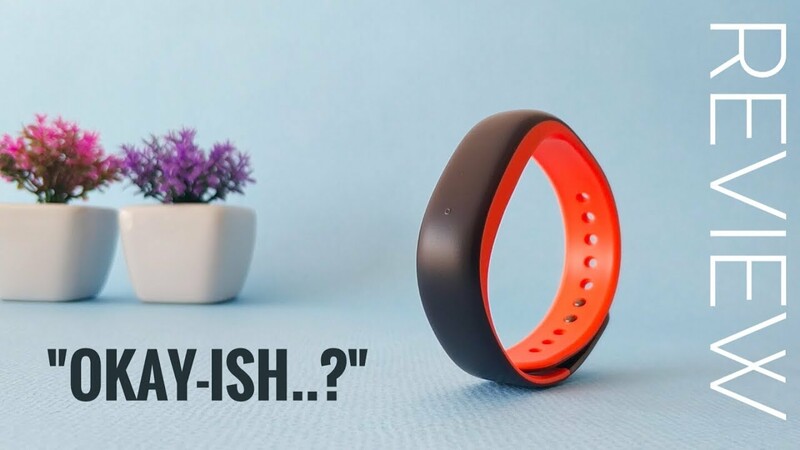 There are at least five years already exist several models able to monitor a series of health data such as distance traveled, calories burned or heartbeat. However, it is when the big companies enter the industry segment, in fact, won public attention. Microsoft Band is the first bet of the company in the area of wearables, wearable gadgets that increasingly gain space on a daily basis in your first product of its kind, the company chose to bring only basic items, betting on compatibility with multiple operating systems. The result is an innovative product, but still he is very efficient in your proposal. First of all it is important to make clear that Microsoft is a smart bracelet Band, and not a smart watch, and consequently any direct comparison with new smartwatches of other companies would be unfair. 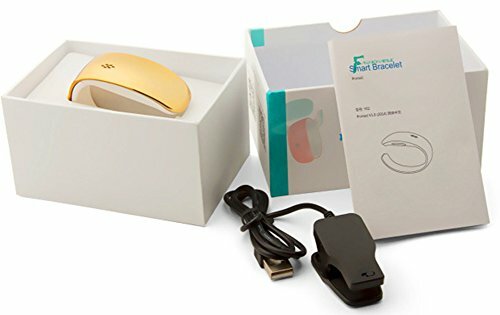 Released in November 2014 in the United States, the smart bracelet follows unprecedented in Brazil – and without ETA to stores in the country. Is it worth investing $199 and import the Microsoft Band for Brazil? Our impressions of the product are what you can see now in this analysis. Weighing only 60 grams, Microsoft Band is extremely light for your wrist. It only takes a few minutes of use so that you don’t even notice she’s in your arm, a very positive aspect for those who play sports. However, she is not as flexible as it could be and, at times, it becomes a nuisance. 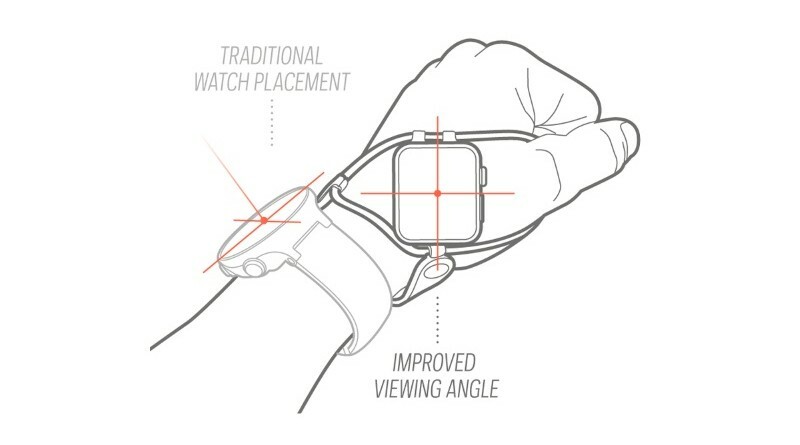 The main area where is located the display, is wide and doesn’t fit with such naturalness to the wrist. The feeling that we had is that she “left” a little on the sides, even in larger wrists. This little inconvenience is perceived more clearly when you use a blouse or shirt sleeve. 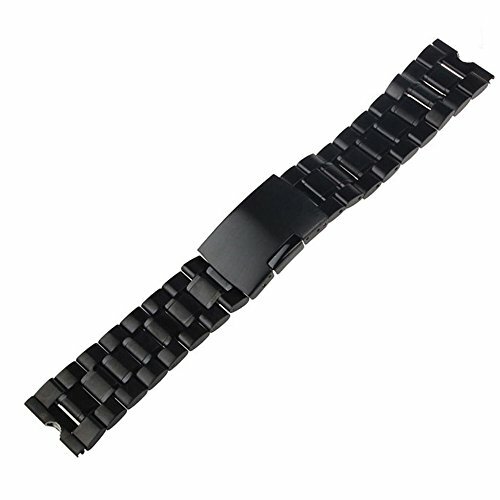 The bracelet is made of a rubberized material and features an adjustable metal clip so you can button it. Thanks to her, the adaptation is perfect, and the smartband is not “loose” by turning on your wrist. There are three size options for sale: small (small), medium (medium) and large (large). So stay tuned to this feature prior to purchase. Even after continuous use in practice, the material does not retain odors or cause sweat marks. Weighs negatively against it the fact that Microsoft Band is not waterproof. According to the manufacturer, the bracelet is resistant to splashes of water and dust, but cannot be immersed in any liquid. 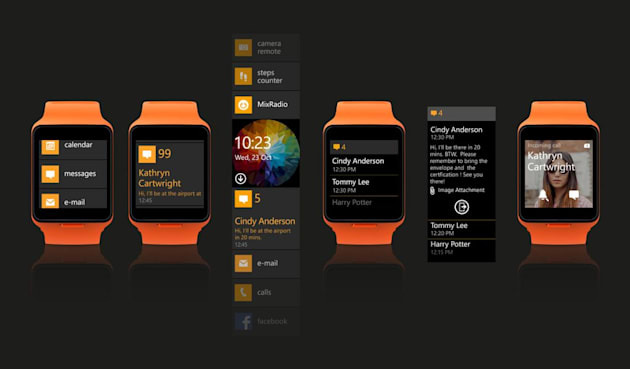 The display of Microsoft Band is built in TFT and has 1.4 inch of space for displaying content. Sensitivity to touch screen is not as accurate as a smartphone, but by sliding your finger over the display the answer is a little better. Anyway, this is not a hindrance to the use of the product. You can configure up to three levels of brightness intensity (low, medium and high), and it is possible to enable an option that adjusts the screen brightness according to the ambient light conditions. Under the sunlight, visibility is good, and there’s no need to force your eyes to see the information. The battery duration is one aspect that surprised us positively. 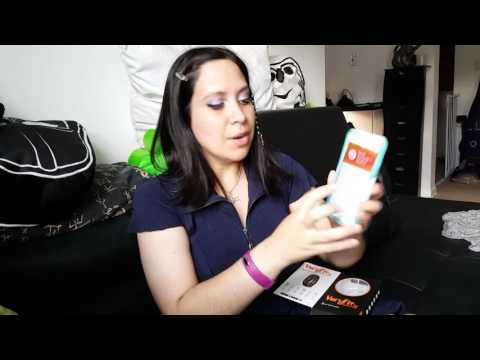 Using the Microsoft Band in the simplest way, i.e. with the active clock display and registration functions of heart rate, distance traveled and calories having to recharge. To keep the device paired to your smartphone – which allows you to receive SMS notifications, emails and phone calls, in addition to automatically download the data saved to the phone, charge duration decreased to 22 hours. Already in the days when the training modes have been activated, the battery resistance past 16 hours. If we compare with other models of the genre, the time of usage is below, but on the other hand it offers more choices for the consumer. In other words, it’s like she’s a middle ground between the more simple bracelets and smartwatches. 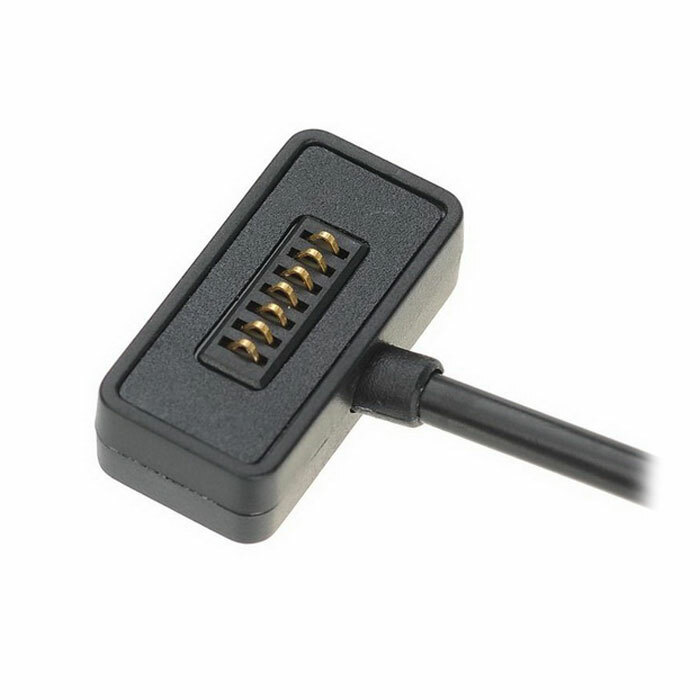 Taking into account the proposal of the device, it is possible to affirm that the length is quite reasonable and should contemplate with calmness the needs of most users. Recharging is done via USB device through an adapter and to complete the 100% of the battery, it is necessary to leave the device plugged for a period between 1 hour and a half and 2 hours. The good news related to Microsoft Band is the fact that it is compatible with the three major mobile operating systems available on the market today. To use it, just that your smartphone has the Bluetooth feature and have one of the following OS versions: Android (version 4.3); IOS (version 7.1); or Windows Phone (version 8.1). The integration of the data is done through a specific free app, Microsoft Health. Remember that the app is only available in u.s. stores. Therefore, be sure to change your region before downloading. Unfortunately, both the bracelet as the app are not available in Portuguese for now. 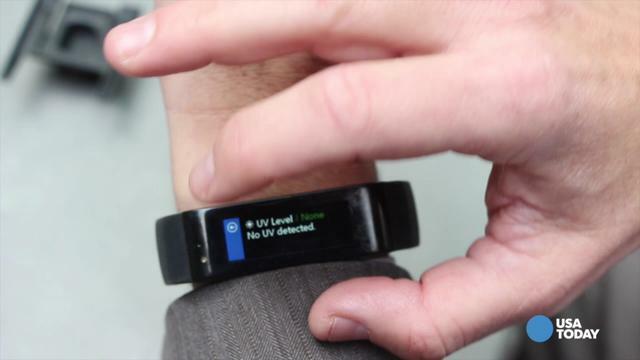 By itself, the Microsoft Health can manage all data collected with the bracelet, but, if you want to, you can incorporate this information directly into other applications. For now, only four apps are compatible with the device: RunKeeper, myfitnesspal, HealthVault and mapmyfitness. It’s time to check out what we think of the practical use of Microsoft bracelet Band. Basically, first of all you need to pair it with your device, a process that won’t take more than two minutes. It is important that this procedure be done via Microsoft Health app. Once this is done, it’s time to register your personal details. Information such as weight, height, and age are essential. In Visual terms, it is possible to customize the wallpaper (12 options) and colors (12). At least for the time being, it is not possible to include new wallpapers. 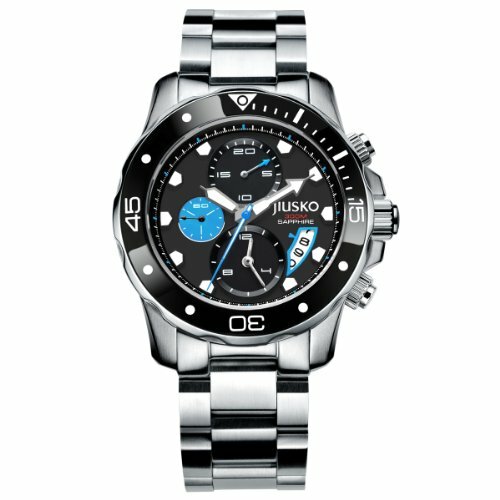 You can choose to have the clock display always visible or activated by a touch off and on button. There is no way to activate via touch screen. The data captured by the sensors of the clock are the following: amount of calories burned, steps taken, distance traveled and number of heartbeats. 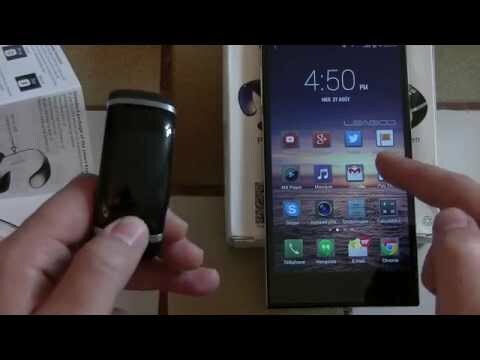 They are stored in the device itself and can be synchronized with the smartphone app. The interface is activated by clicking the home button (unfortunately, it is not possible to activate by means of a touch screen). Sliding your finger from side to side, you have access to the full menu, which includes the receipt of text messages, emails, phone calls and notifications from the system. With the Microsoft Band you draw specific training goals, whether for walking, running, cycling or working out at the gym. Finally, you can control the quality of sleep, keeping active device in a particular mode while you are sleeping. 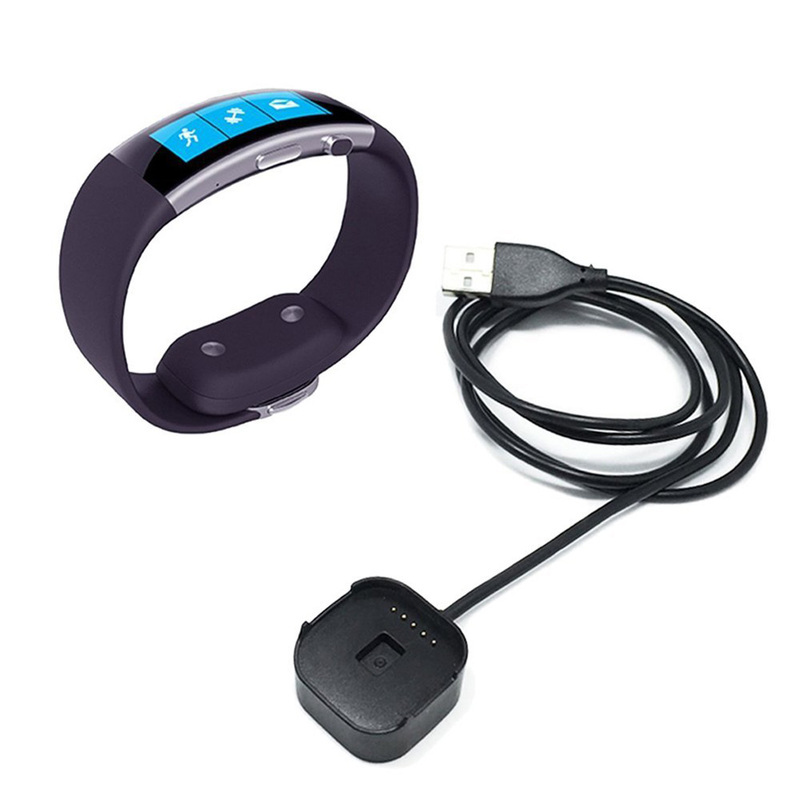 In our tests, Microsoft Band proved to be fairly accurate in capturing information from the sensors. As much distance as the number of steps taken, for example, were extremely loyal to user performance. Even better was our assessment with respect to the heart rate sensor. Unlike other products that require even the full arm rest so they can obtain the information correctly, this measurement is done in real time, even with the movements of your body. Comparing the results with those obtained by using professional equipment, the numbers were pretty consistent. In fact, information is what will not miss for the user. For those looking for simpler devices, this feature can be a downside. However, the management via app can handle and, in terms of usability, it shows one of the best available within your category. We are very honest: at least for now, to Brazilian consumers, not worth investing your money on Microsoft Band. The main reason for this is the fact that the apps are only available in the North American online stores. For a Windows Phone and iOS users to Exchange region is simple, for those with Android usage is virtually impossible. Now, talking about the product itself, we were quite disappointed with your anatomy. The bracelet is beautiful, but very uncomfortable to use outside of physical activities. 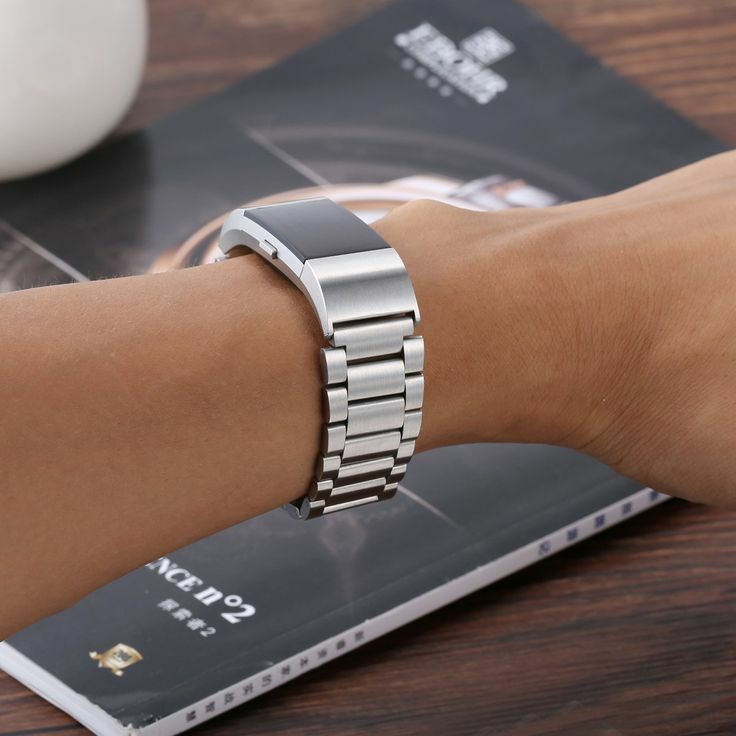 By the fact of not being flexible, the impression you have is that you have a bracelet on the wrist, making it little attractive for use in everyday life. Use Microsoft Band with long sleeve, for example, is not nothing nice. On the other hand, like a lot of software resources. The steps and the measurement of the heart rate are among the most accurate between the devices we’ve tested. The number of compatible apps is still reduced-only four – but Microsoft Health alone seems to do the job in managing the large volume of information collected. 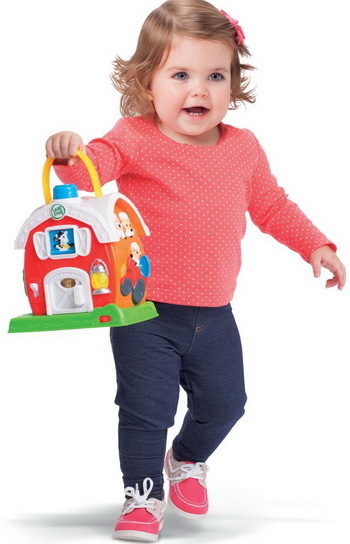 The final price in the United States, at $199, is too high for the standards of the segment. Devices like the Peeble, for example, are able to meet the same needs costing less. Miss a certification that made Microsoft Band waterproof. On the other hand, the value is equivalent to the Gear Fit, Samsung, and for cross-platform compatibility. 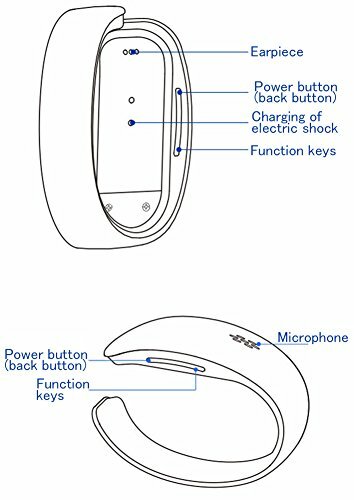 In summary: Microsoft Band shows a promising entry from Microsoft in the wearables, with an efficient software, but embarked on a body with attractive design. The price is still high for all that is offered, and, to the Brazilian consumer, the attractions are virtually non-existent. 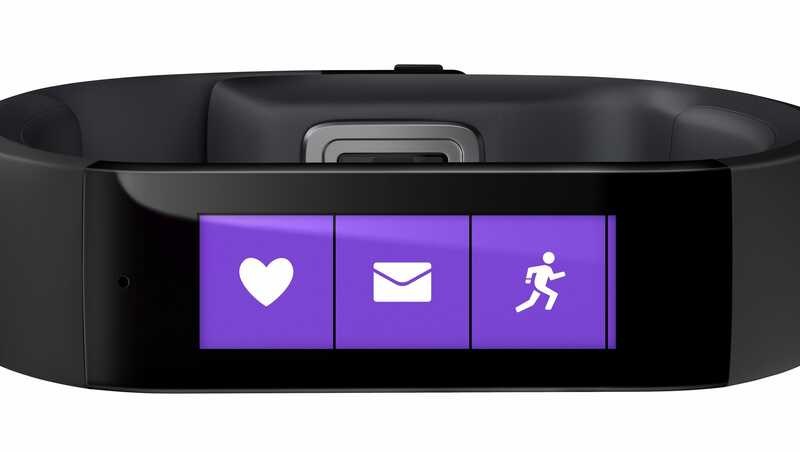 Our advice is to wait a little longer: the Microsoft Band still isn’t the best option for you.